A 3-day pass to the show, which runs from the 11th of November through to the 13th, is $75 for adults and $30 for kids (aged between the ages of 6 and 12). Daily admission is $30 for Friday, $45 for Saturday, and $40 for Sunday. Daily admission for kids is also available, as well as a VIP admission for $139. Attendees are always strongly encouraged to buy their tickets in advance. 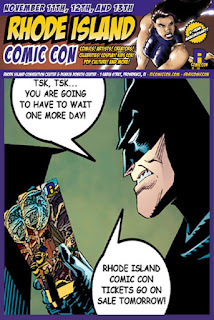 As we all know, Rhode Island Comic Con is held at the Rhode Island Convention Center and the Dunkin Donuts Center. 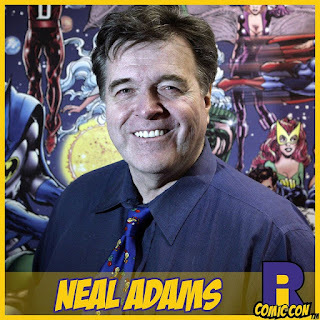 Preliminary guest announcements have included Kristin Bauer (True Blood), as well as legendary comic book artists: Kevin Eastman (Teenage Mutant Ninja Turtles) and Neal Adams (Hard Travelling Heroes). More guests are slated to be announced as the year progresses. For more information please visit the event's website at www.ricomiccon.com. Altered Reality Entertainment is an event entertainment company based in New England. It currently produces multimedia, multi-genre events in the New England area including Rhode Island Comic Con, Terror Con, and Southcoast Toy and Comic Show. In 2016, they will expand their footprint to include Hartford ComiConn and Colorado Springs Comic Con.